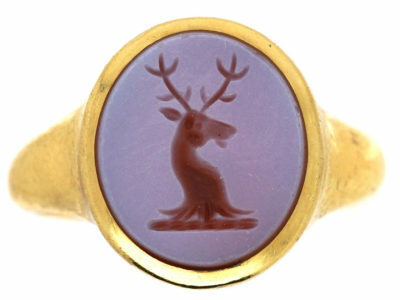 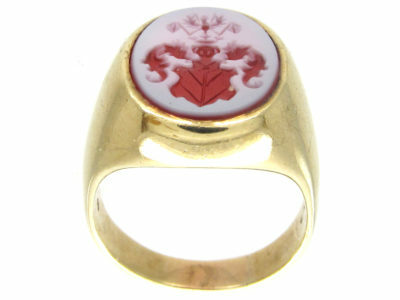 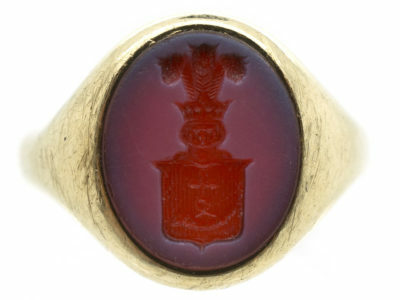 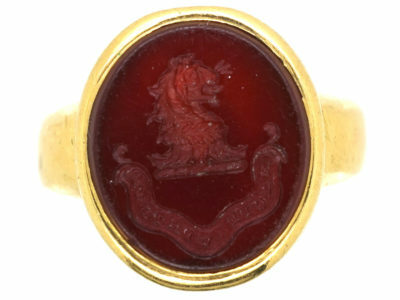 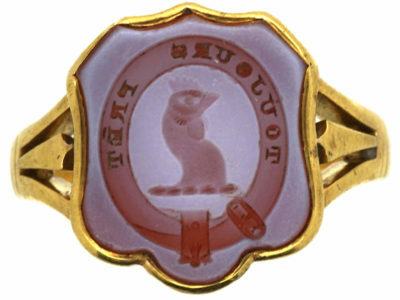 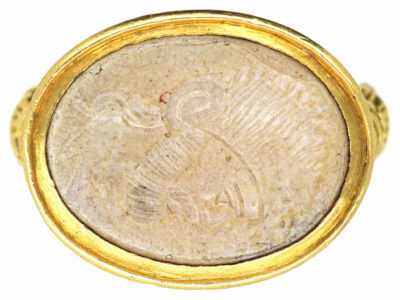 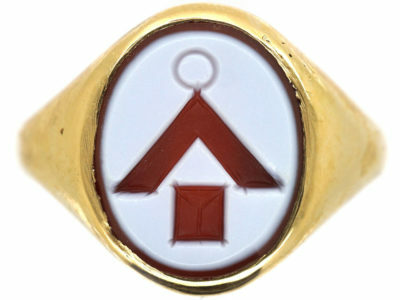 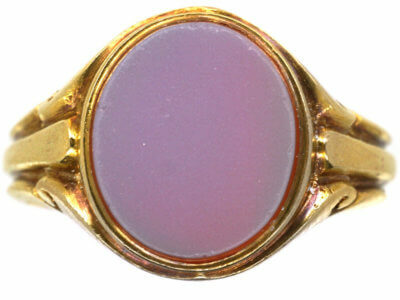 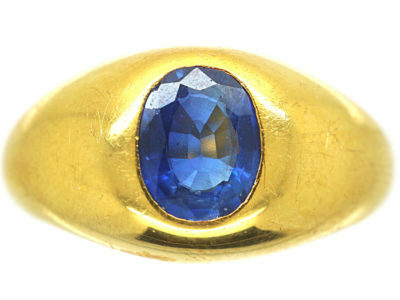 An unusual signet ring that was made in Germany in the early 1900s.It is marked 333. 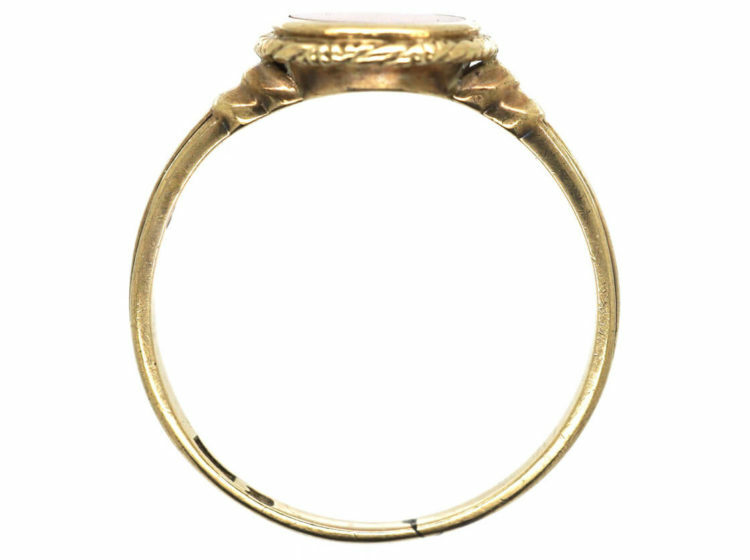 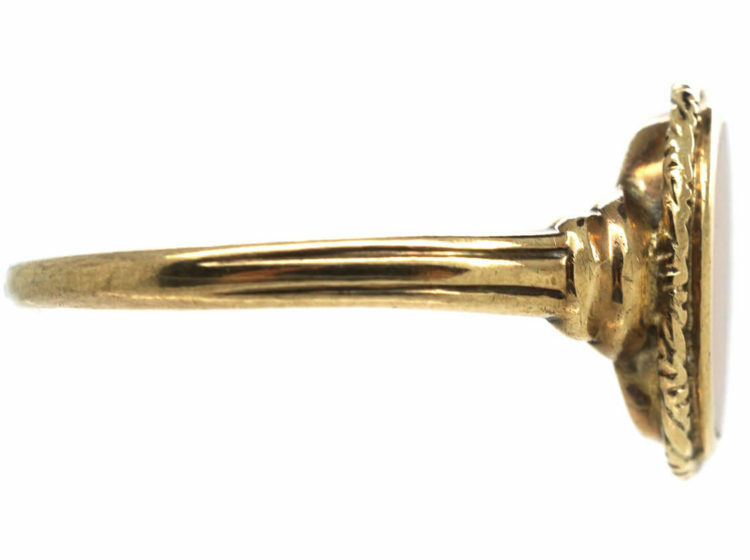 This is the German mark for 8 carat gold, slightly less than 9 carat gold in England. 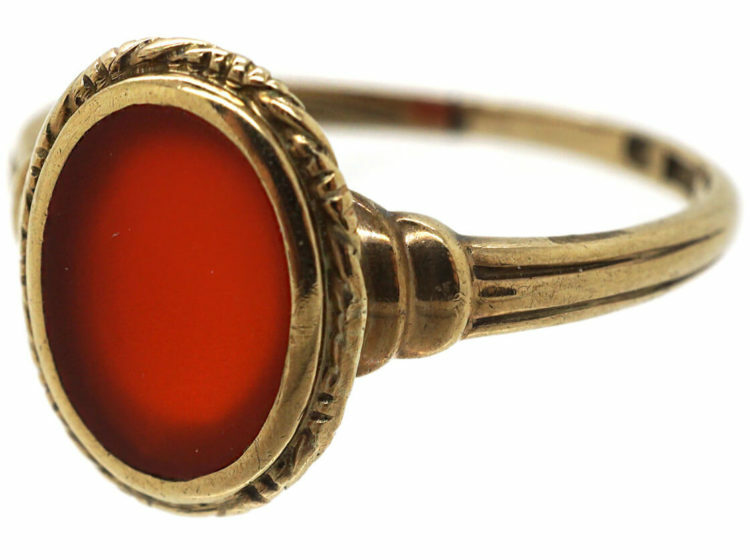 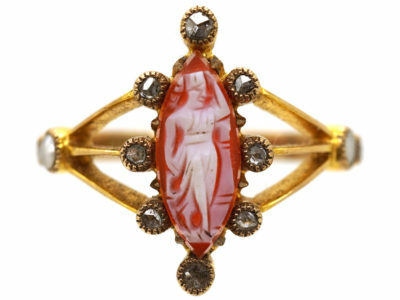 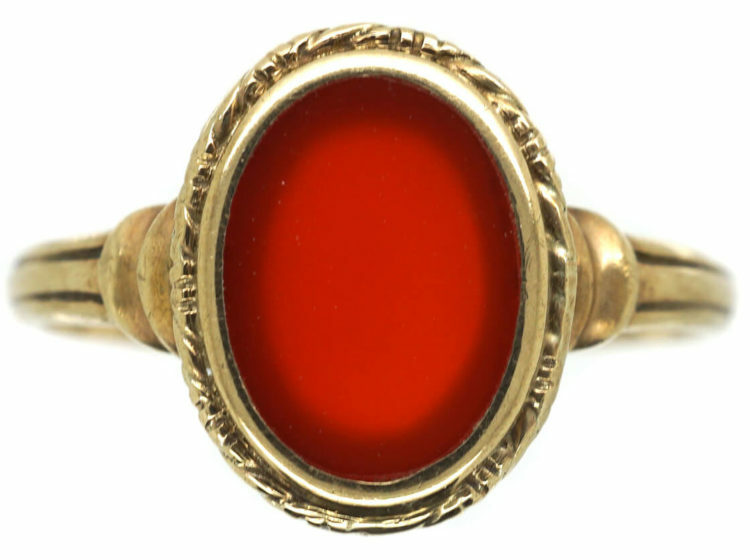 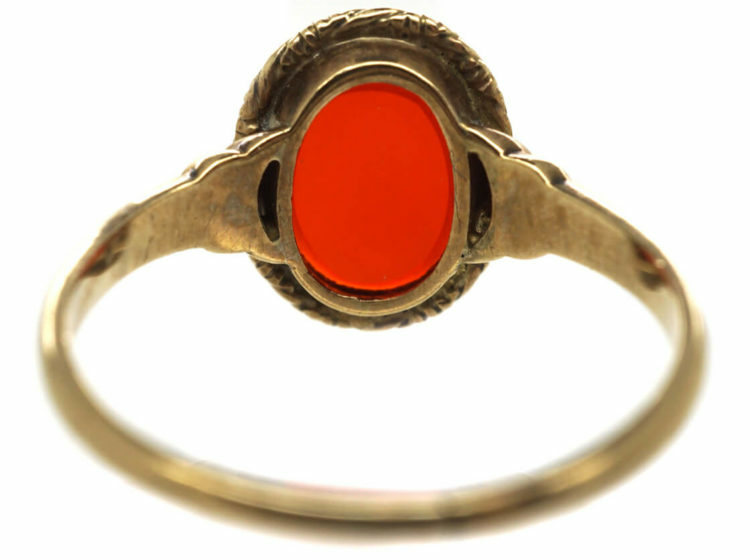 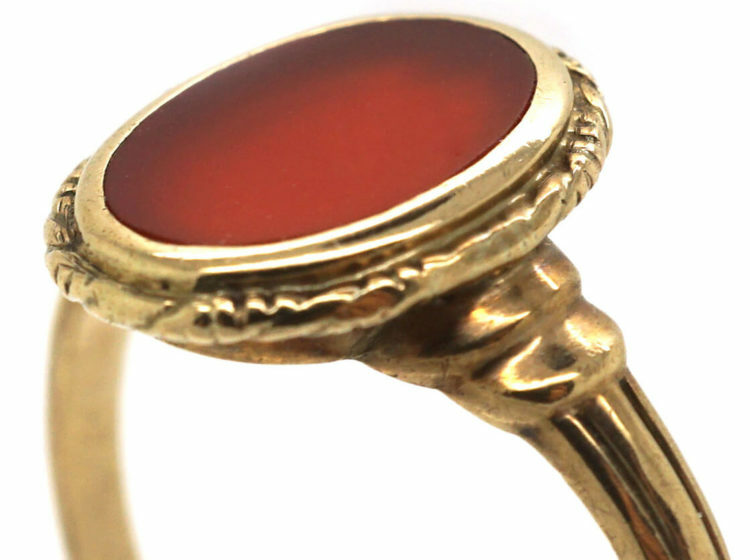 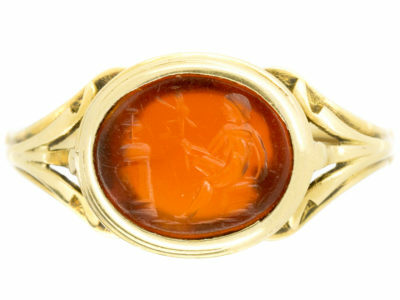 It has rope detail around the plain oval carnelian and stepped shoulders. 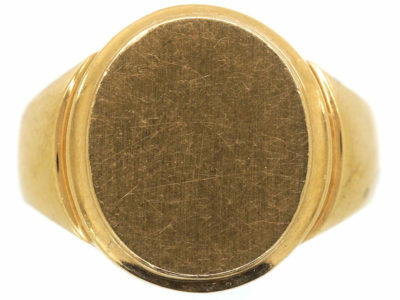 It sits low on the finger so is practical and good looking to wear by either a man or a woman.